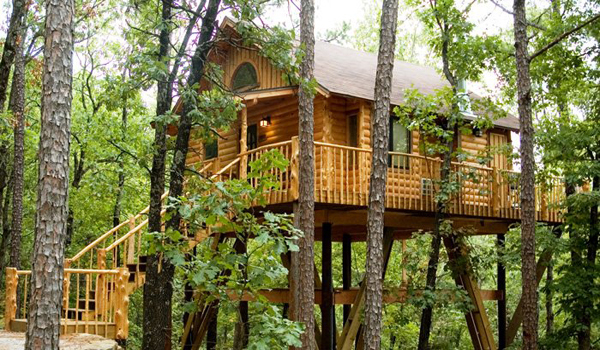 Treehouses are the most exciting, thrilling and amazing places surrounded by jungles, wildlife, hills valleys and beautiful nature. Treehouse is one of the most beautiful experience one can ever have. When we are exploring or travelling the world, the place where we stay automatically becomes important and to make it more important we have some treehouse resorts in India. Treehouse Resort, Jaipur : The treehouse resort is one of the best resort that offer comfort and luxurious facilities. It is always the best place to live in the nature and birds. This Treehouse resort is situated at a distance of around 30km from Jaipur in the foothills of Syari Valley. Treehouse Resort offers an astonishing view to Aravali Mountains. Vythiri Resort, Kerala : It is one of the largest Tree House Resorts in Wayanad district of Kerala. It offers most luxurious facilities with an amazing natural ambience. The resort has five tree houses in the middle of the jungle. These Treehouses has been made by tribal people. The resort also offers games, swimming pool, Ayurvedic spa and health club. It also offers honeymoon resort facilities to make holidays special with loved ones. The Machan, Maharashtra : It is one of the most famous and unique TreeHouse in forest near Lonavala, Maharashtra. It is the perfect place to escape into nature and trees. It is the perfect place to hangout with family or friends. Enjoy the amazing view of valleys from Resort. Treehouse Cottages, Manali : The serenic Treehouse Cottages is located in Kullu Manali, Himachal Pradesh. The cottage is surrounded by trees and green backyards. It is also one of the most visited tourist attraction point.